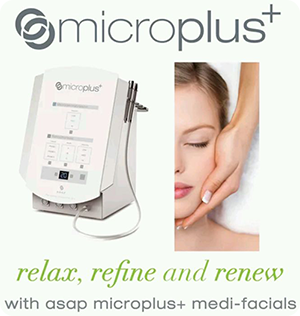 The asap microplus+ is a state-of-the-art machine, designed and built in Australia, that combines microdermabrasion and sonophoresis. 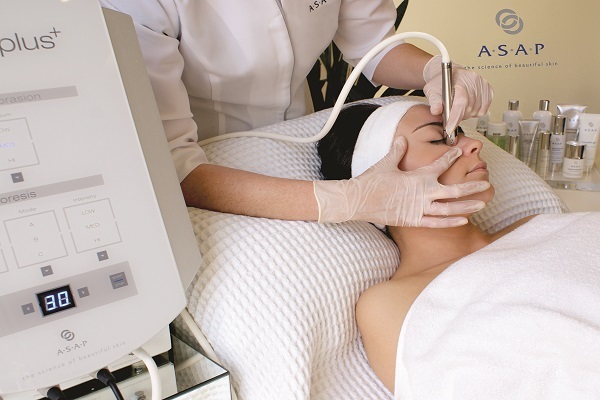 Sonophoresis is a safe, non-invasive treatment that uses ultrasonic (soundwave) technology, warmth and motion energy to significantly increase the depth and rate at which treatment products are absorbed into the deeper layers of the skin. It is suitable for all skin types and delivers excellent results.